In the run-up to 2016 Brexit referendum, advocates of staying in the EU made significant efforts to invoke the memory of Winston Churchill. Remainers pointed to the fact that, in Zurich in 1946, he had urged the creation of ‘a kind of United States of Europe’. 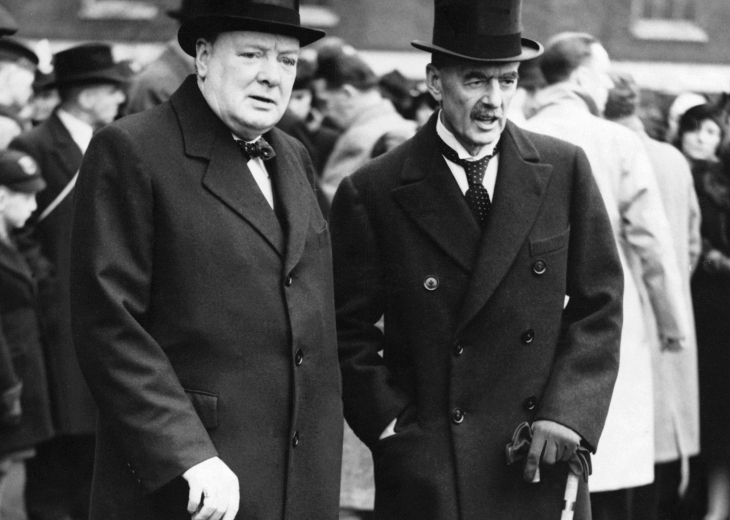 They seemed to regard him as something of a trump card – if Britain’s iconic wartime leader had been one of the fathers of the EU, who would dare to be against? However, as a persuasive tool, it never quite seemed to work. On the one hand, Leavers could legitimately point out that Churchill had said that Great Britain should be one of the ‘the friends and sponsors of the new Europe’, not one of its actual members. On the other hand, the message was just not quite simple enough; against the ingrained, popular bulldog image, it was tough to sell Churchill as a complex figure who was prepared to make concessions on British sovereignty in the interests of future peace. At my office I sit two yards away from cabinet room where Winston Churchill decided in May to fight on against Hitler. The best and greatest decision perhaps anyone has made in our country. He didn’t want to be alone. He wanted to be fighting with the French, the Poles and the others. But he didn’t quit. He didn’t quit on democracy, he didn’t quit on freedom. We want to fight for those things today. You can’t win if you’re not in the room.